Back orders are acceptable but it may take time so contact us. 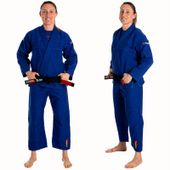 The Harmonik Female Gi is designed specifically for the woman's body. Synthetic embroidered patches won’t peel, crack, warp or fade. Contrast stitching on gi top and pants. Extra belt loops to help keep your pants where they are supposed to be. Jacket is made with one piece of fabric with no seam in the back, providing strength, comfort and durability. EVA foam rubber collar keeps it soft, helps the gi dry faster and helps prevent bacteria and fungus from developing. 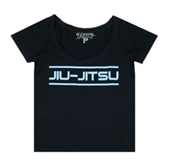 The gi cut allows unrestricted movement and also keeps the gi fitted and hard to grab.